Cool Ladderax wall unit with 3 ladders, two box units and five shelves. 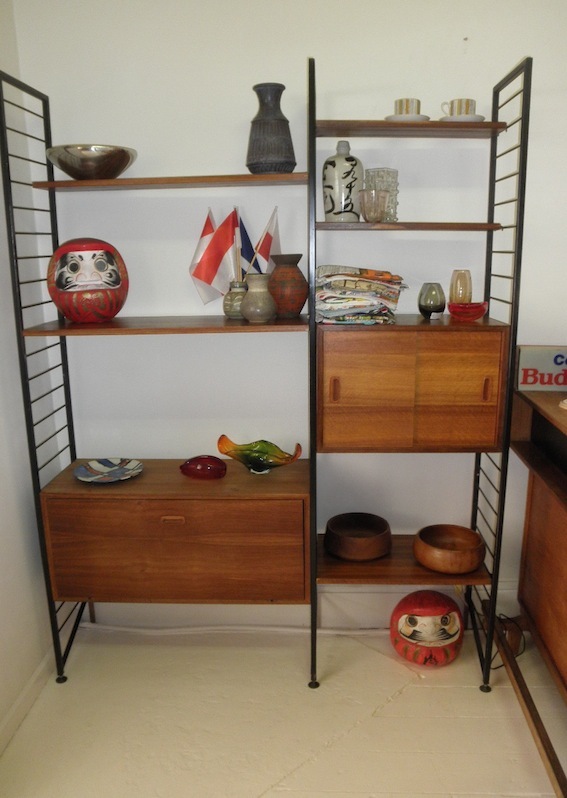 These are great for flats where you want a nice visually light storage unit with display areas and hide aways. Originally designed by Robert Heal in 1964 for Staples of Cricklewood in the UK, these units were produced locally under licence and are considered a mid century classic. They can be configured anyway you like and are great even for offices. Total size is 1530mm wide x 2100 high x 355 deep.